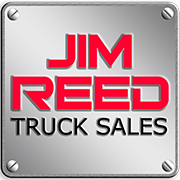 Jim Reed’s Truck Sales, Inc. offers the most competitive financing for New Fuso and Used Truck purchases, ASV Skid Steers or Track Loaders, Stellar Hooklifts and Kalmar Ottawa Terminal Tractors. We have dedicated finance specialists committed to getting you to work and meeting all your finance needs. Our specialists do the due diligence to come up with the best custom finance solutions, from our array of resources to meet your budget, in a timely manner.